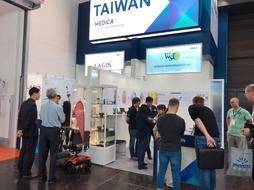 Decision makers of the international healthcare industry were “spoiled for choice” when it came to the themes at the world’s largest medical trade fair MEDICA and the internationally leading supplier trade fair COMPAMED in Düsseldorf. On the four days of the fair, around 120,000 visitors (with an international share of approx. two thirds from around 155 countries) enjoyed an offer that was more extensive and international than ever before. The fair took place from 12 to 15 November 2018. 5,273 exhibitors from 66 countries and an international share of more than 80 percent mean a new record for MEDICA. COMPAMED also seamlessly continued its record run with 783 exhibitors from 40 states. TAITRA also participated the biggest medical trade fair MEDICA this year. 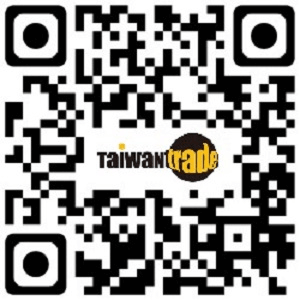 There are 69 companies in Taiwan Pavilion. During the 4-day exhibition period, 2,901 business meetings took place at our stand. The immediate measurable turnover was 52.84 million U.S. dollars. Most of companies show their state-of-the-art technology in Taiwan Pavilion. And TAITRA also invited Germany Compnaies, ACENDIS Handels GmbH and Eurotops Versand GmbH participated to one on one meeting with companies in Taiwan Pavilion. New start-ups gave presentations every day in the “MEDICA DISRUPT” initiative, held within the scope of the MEDICA CONNECTED HEALTHCARE FORUM and the MEDICA App COMPETITION (Hall 15). A total of over 50 start-ups stormed the stage to present solutions for everything from treating skin cancer and chronic conditions (affecting the heart and lungs, for example) to telemonitoring and tracking of vital signs and activity. Thrilling start-ups could also be found in the MEDICA START-UP PARK, at the Wearable Technologies Show (both in Hall 15). The accompanying programme offered numerous highlights that focussed on the most important trends on the market and were met with an excellent response from the professional audience. Here, visitors could experience further enthralling examples of the use of artificial intelligence and see for themselves which sometimes breathtaking advances are already in the pipeline for the future.